Magical Food Preservation ! 1-5p March 23,& March 24, 2019. Sour Dough Wrap making, included a demo of making starter, mixing, cooking up, and lots of taste testing. Next, the basics of making Fruit Scrap Vinegar, and Honey Mead also included taste-testing. YUM ! 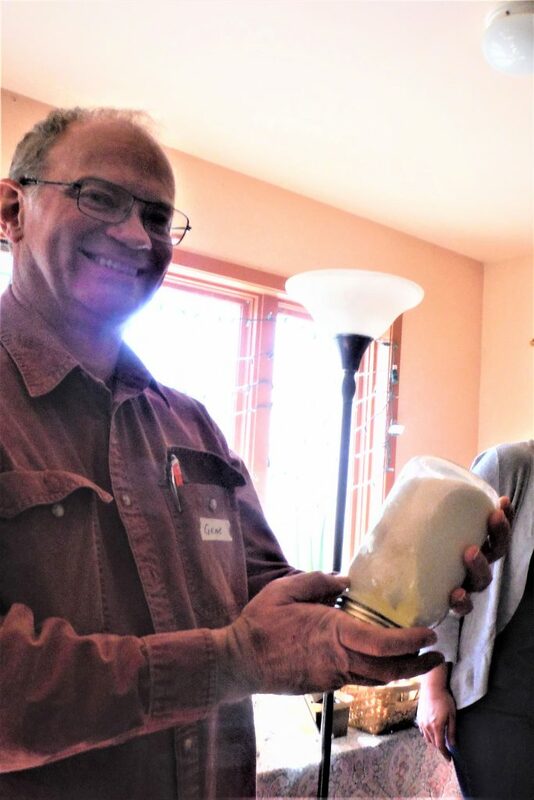 Folks took home samples home to begin to make these things in their own lives. All in all, a very joyful day with lots of laughing, learning & experiencing. 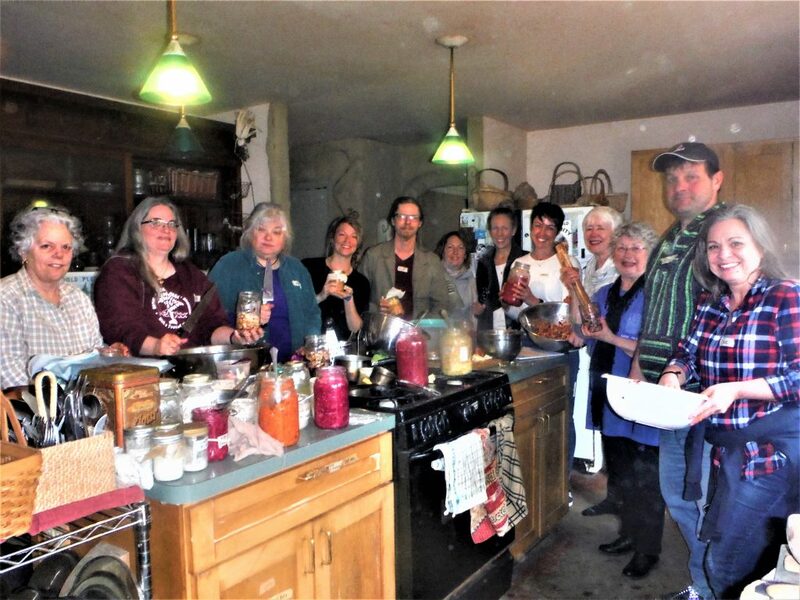 Group picture from March 24, 2019 Fermenting Fun Class ! “Butter- making ! From cream to solid butter and butter milk. What a surprise when the cream turns from liquid to whipped cream to a solid ! 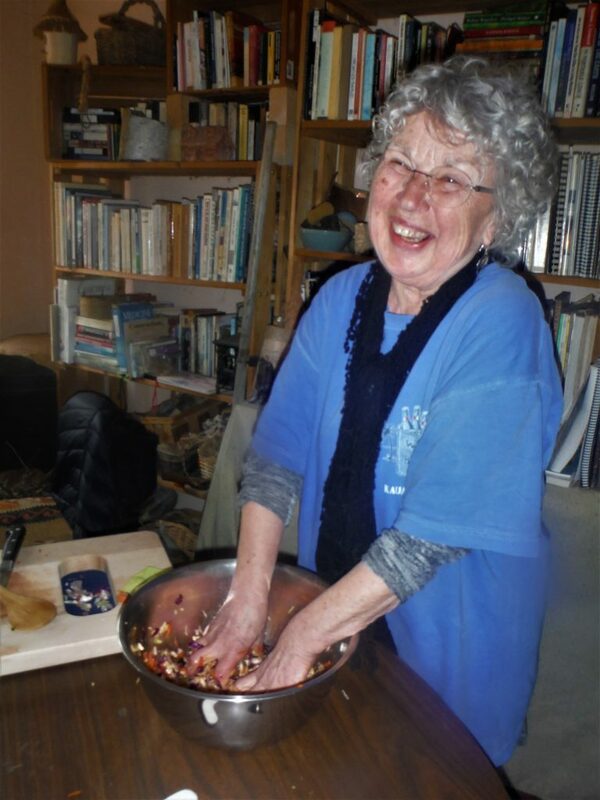 Chopping and mixing sauerkraut can be lots of fun, too. 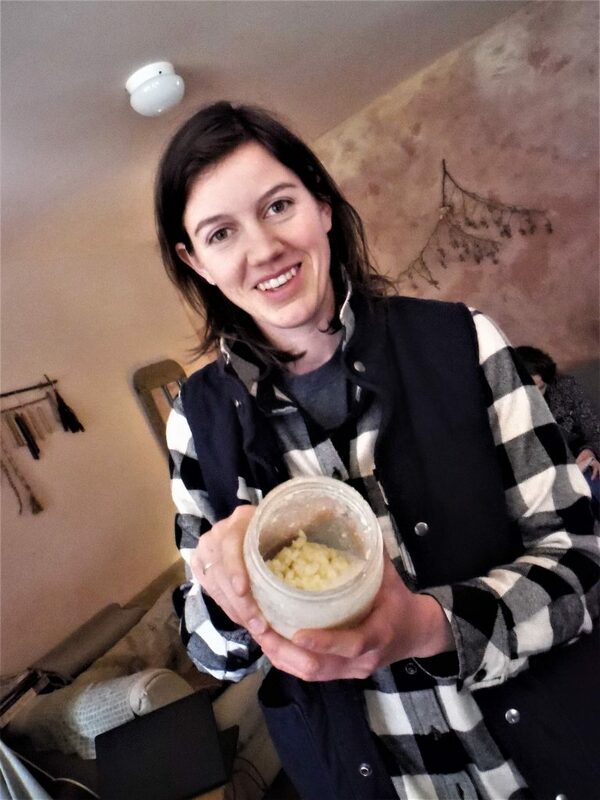 Fermenting is a preservation method that helps make food more nutritious, digestible, tasty and long-lasting. Live cultures in raw fermenting create a more diverse micro-ecology in the digestive track ! It is a direct relationship with the micro-organisms that contribute to our life…and a connection with our ancestors and the past !